I’ve spent the past three or four days trying to restore my computer after a Harddrive and/or Motherboard failure. I’m not quite sure which one. Anyway, all my files are lost to the nether, so I’ve been running File Restore. It’s taking a looooooong time, but it seems to be picking up a lot of stuff I lost. I’m posting on my laptop at the moment, which I’m using like a regular PC by the magic of USB ports and a video out. 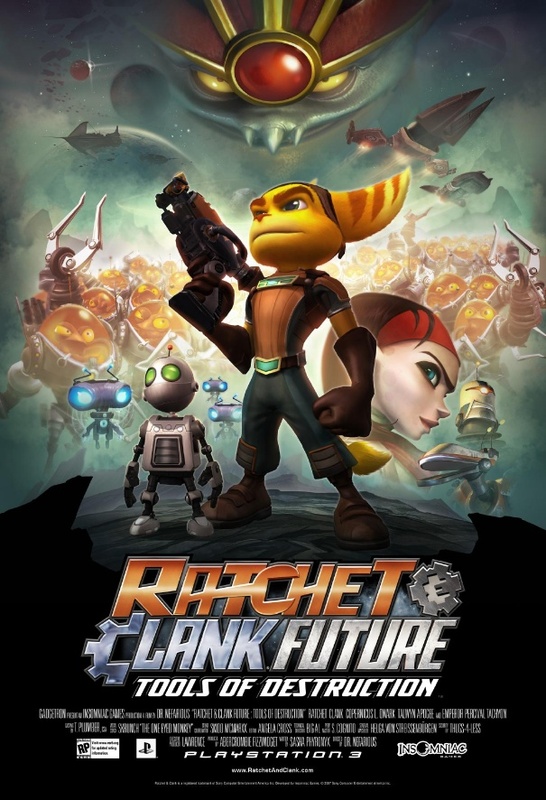 Ratchet & Clank Future: Tools of Destruction comes out this week for the PS3. The demo was fantastic. I can’t wait to play the whole thing. Also, how great is this poster?